Arboricultural Association - What is an ARB Approved Contractor? Home /Accreditation / What is an ARB Approved Contractor? TrustMark is open to all Arb Approved Contractors and costs only £40.00 +VAT. 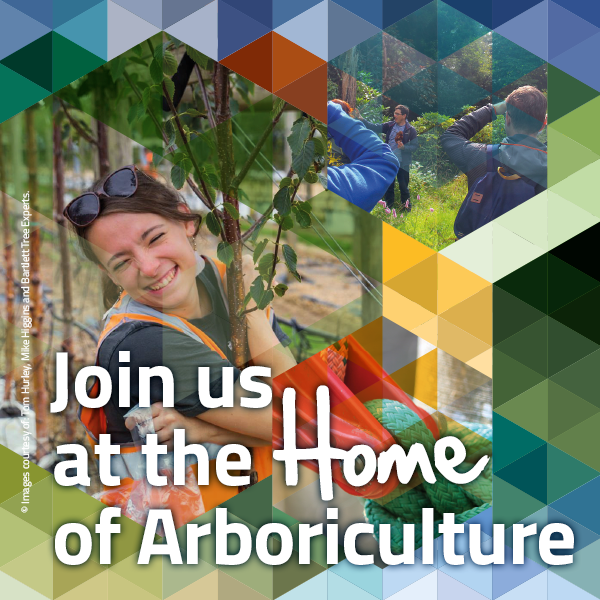 Please contact Polly Stone for further details on arbac@trees.org.uk. ARB Approved Contractor is the only comprehensive accreditation scheme for professional tree surgery businesses in the United Kingdom. Becoming an Approved Contractor demonstrates the ability and desire of your business to work to best practice, achieve higher levels of knowledge and skill, and your ambition to promote and raise the professional standards of the industry. An ARB Approved Contractor (ArbAC) is a business that has been assessed by the AA, has met and continues to uphold the AA's Standards (both the ArbAC Standard relevant to the size of the business and the AA's Codes of Ethics and Professional Conduct and has paid the appropriate annual scheme management fee. The Arboricultural Association Approved Contractor scheme has been setting the standards for tree surgery work for more than 40 years. The Arboricultural industry is not regulated by government but has a high accident potential and a responsibility to care for the UK's rich tree heritage. In 2012 the scheme attained ISO 9001 (UKAS) accreditation in recognition of its quality management systems and is now a registered member of SSIP (The Safety Schemes in Procurement forum - the umbrella organisation for recognised health & safety schemes in the UK.) This brings further acceptance and credibility to the scheme and its members who uphold the national standard for arboricultural contracting businesses. The ARB Approved Contractor scheme offers a recognised benchmark for arboricultural contracting throughout the UK and Ireland and is increasingly demanded by Local Authorities and other large commercial organisations. ARB Approved Contractor is also of considerable benefit in the domestic sector as a quality mark assuring the client of good quality tree care undertaken safely and efficiently. To find out more please view the scheme booklet and/or download an application form below and/or give us a call today. A full schedule of the technical standards can be found in the documents below. Refer to notes on business size to see which Standard applies to you. The ArbAC scheme sets a standard that is achievable by all good tree work contractors. Should your application to become an ARB Approved Contractor result in a fail at Assessment or is refused and you feel that you wish to appeal, the Arboricultural Association has set out an appeal procedure. If you wish to appeal a decision, then please download the document below and read it carefully. *The Arboricultural Association take misuse of the Approved Contractor Shield seriously. Non Approved Businesses purporting to be ARB Approved and lapsed scheme members failing to remove the emblem have been prosecuted in the past. Trees are living, dynamic organisms that need appropriate management and care to ensure their safety, longevity and continued contribution to the landscape. Quality assured tree care services from contractors assessed and approved by the nation’s largest representative arboricultural body bring security to tree owners and managers in an industry renowned for more than its fair share of unscrupulous contractors. Tree owners can rely on ArbACs for appropriate advice and services. Technical standards, see below (please note you will need to work out your business size to determine whether you need the standard for i) ‘up to 5 people,’ or ii) ‘more than 5 people.’) You can also use our new WTE tool to calculate the full-time equivalent of your part time employees. Our web resource technical guidance where you can find the relevant generic HSE guidance and also the AA’s arb-specific guidance. Do I, or the business, have to be an AA member to become an ArbAC? Yes. As you will receive many benefits from AA membership and it is a requirement..
How long does an ArbAC ‘licence’ last? Four years, provided that you comply with the requirements of the scheme during that period (which include maintaining the Standard, paying an annual subscription, making annual paperwork submissions or declarations and being successful at the interim assessment after two years and desktop reviews in Yrs. 2 & 4). What is checked at the ‘interim’ assessments? Interim assessments (two years after full assessment) check the full Standard, and in particular H&S compliance for SSiP membership, but focus more onoutcomes rather than the detail of procedures and systems. What academic qualifications do I need to become an ArbAC? None, but attainment of an arb specific qualification is encouraged. See further information in the section Manager(s) Criteria, page 7. Can an ArbAC use sub contractors? Yes, so long as the majority of the ArbAC’s work is undertaken “in house” and there is a rigorous procedure for checking their competence and performance. Am I too small to be an ArbAC? The minimum size is two people (which may be one person and a sub-contract labourer), i.e. a sole-trader/partnership. I don’t have a yard or workshop. Is this a problem? You do not have to have a yard or workshop. Some small businesses operate from a home-office with vehicles kept on the driveway and tools and equipment kept in the garage. This is perfectly acceptable. Do I need “aerial tree rigging” qualification (formerly CS41)? Generally the answer is yes, if you undertake sectional felling operations involving the use of rigging equipment. It is unlikely that all operatives in the business will need this certificate of competence but at least one person will need it. Do I get CHAS accreditation with ArbAC? No, although the health and safety elements of the ArbAC scheme are CHAS / SSiP compliant and hence it can be accessed indirectly. I am already CHAS accredited, will that affect my ArbAC assessment (can I omit the H&S parts of the assessment)? No, the AA still needs to satisfy itself that the business is H&S compliant in a treework context, but will focus on the ‘on-site’ paperwork, i.e. risk assessments, method statements, emergency procedures. Can I object to a particular assessor undertaking the assessment? Yes, but you will have to explain your reasons. The Scheme Manager will look at your reasons and provided he considers them to be reasonable (normally a possible conflict of interest), alternative assessor(s) will be found. The Scheme Manager may refer to the AA Professional Committee for guidance. If I am not successful at assessment can I appeal? A right of appeal exists for applicants aggrieved at the decision – see page 13 for further details. But do bear in mind that a full explanation of any areas found not compliant/competent will be provided by the Lead Assessor and advice will be offered on how best to rectify these with referral back to the AA for help. * To cover the initial assessment of a small business, i.e. ‘up to 5 people’, including the H&S audit for CHAS but which incurs an additional £60 CHAS licence fee (all prices quoted exclude VAT).